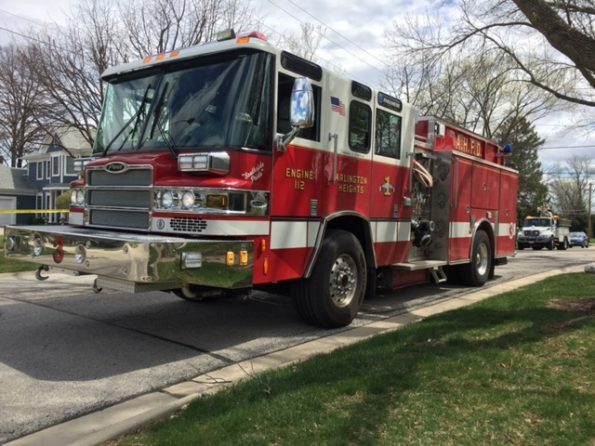 Arlington Heights firefighters responded about 10:29 AM Friday, May 4, 2018 to report of a tree down on a power line near Highland Avenue and Magnolia Street. 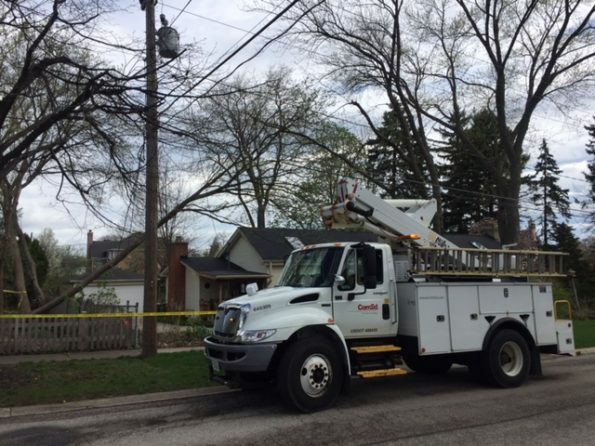 Firefighters discovered a line from the utility pole to the house that was still up, but a fallen tree was resting on another tree and the power line, threatening to bring down the power line. Firefighters taped off the area to secure it for safety and waited for ComEd to respond to the scene. 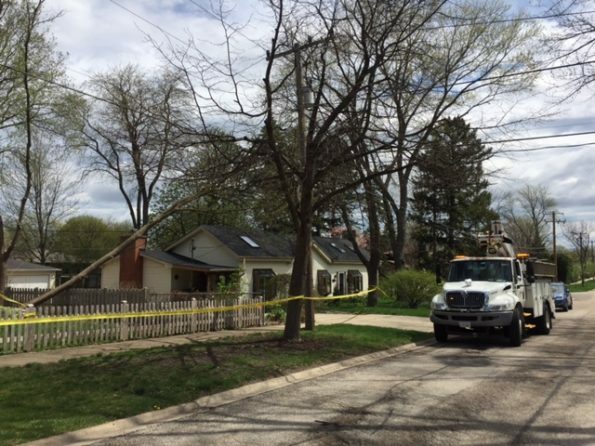 ComEd arrived by about 11:15 a.m. and began work to repair the power line. Winds early this morning were gusting up to about 45 mph from the west and southwest, and shifted from the northwest between 8:51 AM and 9:51 AM. Winds are expected to gradually decrease through the day Friday.